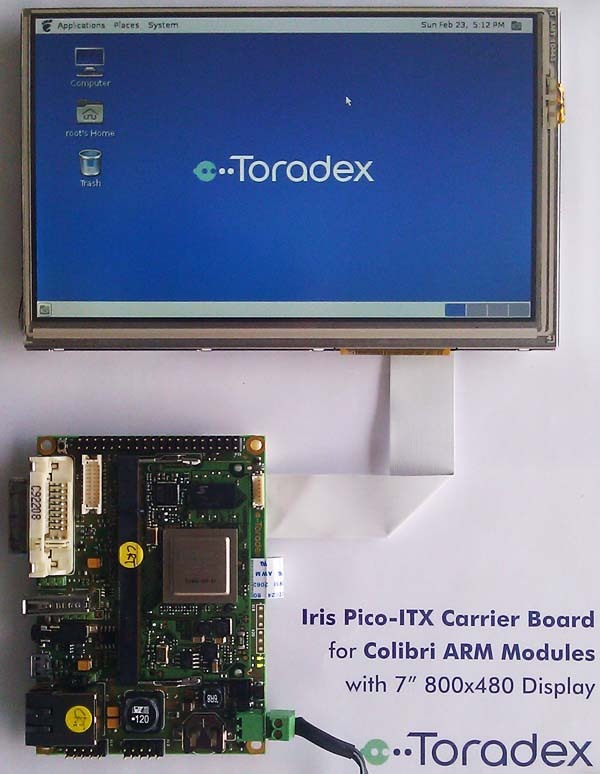 The Iris is a small form-factor(100mm x 72mm) off the shelf carrier board for the Colibri family. The Unified TFT interface is a standard from EDT. 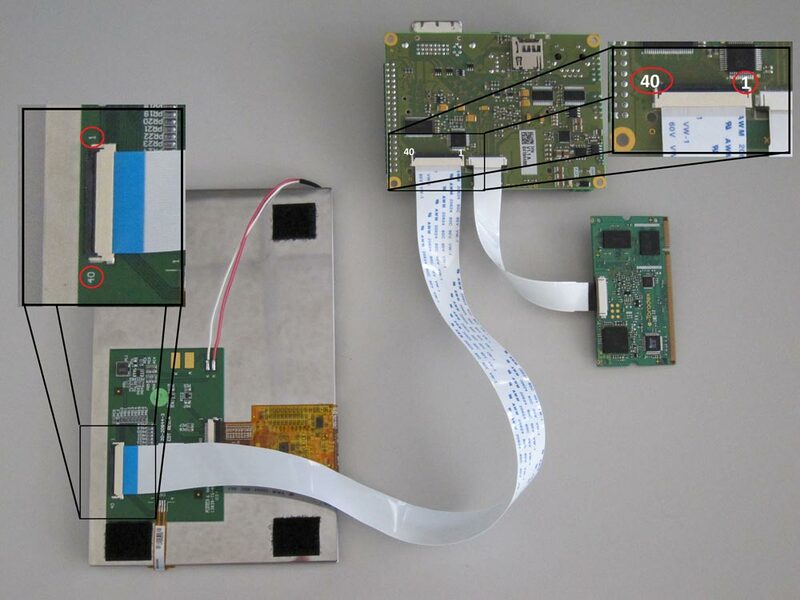 It allows our customer to use a wide range of displays with our Iris board, without the need of an adapter print. 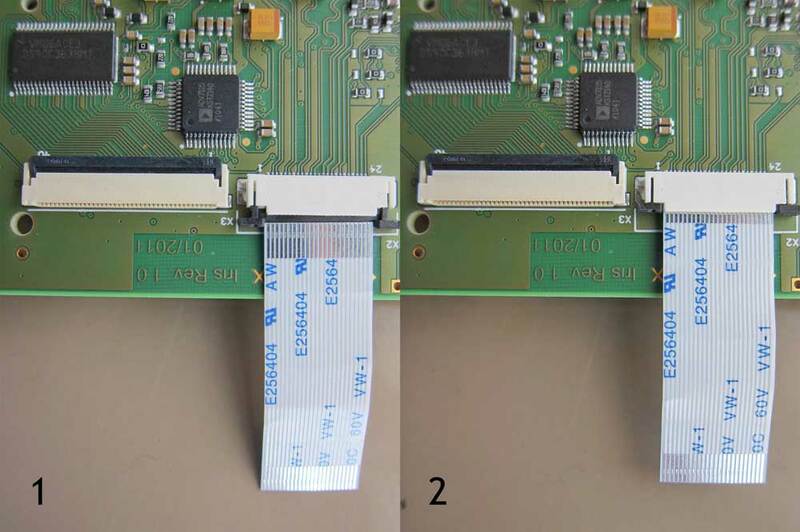 As shown in the picture, it is important to take in consideration the pin numbers indicated on the display and on the Iris carrier board in order to avoid damages on the devices. For the models ET050080DH6 and ET050080DM6 the pin 34 is an active low Standby signal. 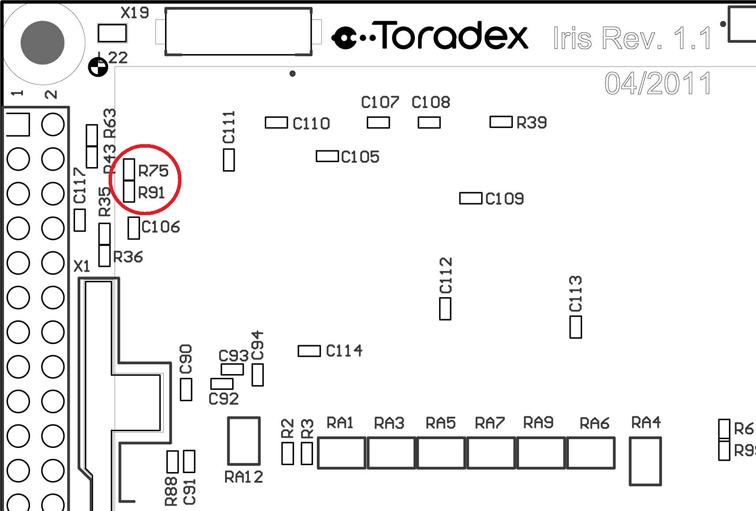 Since on the Iris board this signal is set to GND by default, the resistor R91 needs to be disassemble and the resistor R75 needs to be assembled. The following image shows the position of these resistors. 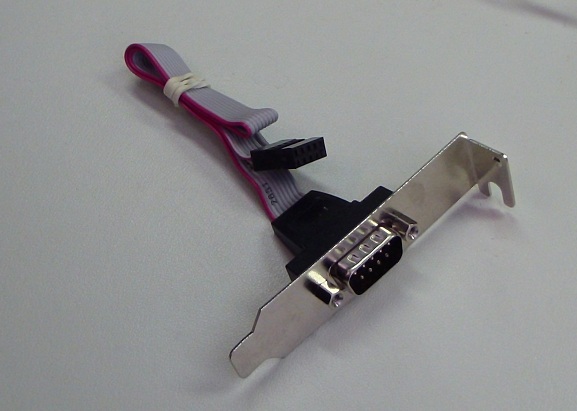 Make sure you also order an FFC 40 Pin 0.5mm cable for the display. X13 accepts a standard 10 pin IDC to 9 pin D-sub male connector. Unfortunately there are different standards. The standard we used is normally called DTK or Intel standard. Please check the pinout in the Iris Datasheet. a 10 pin IDC to 9 pin D-sub male connector. The battery supplies the RTC with power while the system is off, so it does not loos the time.